Having served several stints in school IT departments around Michigan, Caleb vowed to, “never do that again”, and choose to seek a vocation where he could visibly make an impact. 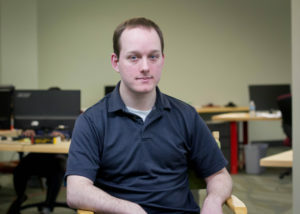 Recently graduating from Michigan Technological University, in the frozen reaches of the Upper Peninsula, Caleb earned his bachelor’s degree in Computer Science in 2016. When he isn’t sleeping, he can be found at his computer.